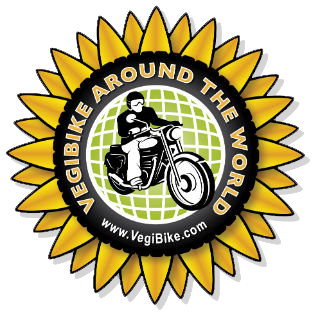 In May 2011, Harry Lyon-Smith starts a circumnavigation of the globe (RTW) on a (vegetable oil* and) diesel fueled classic Royal Enfield motorcycle. Chiang Mai is a lovely city and has many fine people living there, many of whom have been friends to me....one could easily make it a home. However I was stranded here for 6 weeks (off and on) and it was beginning to get to me. Being there of one's own choice would have been great, but not by dint of mechanical failures trapping me, and not knowing how long it would be before I could get away. We thought we had fixed the problem with the new piston and it all felt very good. Plans for the great drive south were made for the morning. Off I set at 9 am bidding farewell to Rider's Corner, which had been home for much of that time. 12 hours later and 200 km south the engine blew again. Exactly the same as before. The only thing it can be is this engine, the new 13hp one changed in Nepal, does not work with veg oil, unlike the first one. What to do, fix it again and abandon the vegibike idea and just use Diesel? I could probably still use a small amount of Veg Oil, say 10%, and claim some use. Or to try and get another 10hp engine like the original. There could be extensive problems with customs again, as in Nepal, and I am not keen to go through that circus again. A bit of a dilemma, and a crisis in the camp. Re-tracking a bit, over the last few weeks I have been blessed by the support of George and Ann. 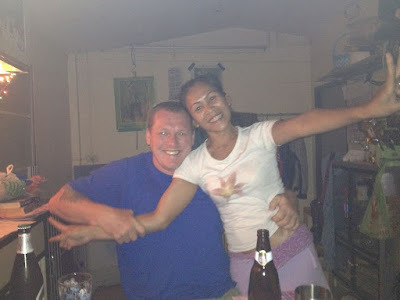 I met them before the Laos trip when they collected the bike and since then George has worked with me on the bike, whilst Ann, being Thai, has done our translating and cooking fabulous dinners etc. We tried a couple of mechanics, but in truth, what with telephone help from Henry in the UK, George and I got Batty going again. UPS did not help by taking a week to get the new piston out to us, 4 days in the UK before even getting airborne would you believe it, so much for the promised 3 days. Our 2 mechanic pals, who helped show us what we already knew and a fair number of wrong diagnoses. We have spent a few evenings together along with Jannick , Patrick's brother and their father, who was out seeing them. At Rider's Corner one keeps one meeting new faces and big journey making bikers; James and Cat on their way to Australia but troubled by Cat's broken collar bone in an accident, and then their KTM breaking down, Sasha and Kirsten who had just been in New Zealand before shipping to Bangkok , giving me lots of GPS maps. Probably one of the most recognized faces in the world of bike travelers, 5 times around the world, Dr Gregory W Frazier, is a regular there and says he will be featuring Batty in an article he regularly writes for a US bike magazine. A book I have just finished reading was initiated, researched and edited by Greg. It tells the story of the almost forgotten, first man to ride around the world on a motorcycle 100 years ago exactly. Carl Stearns Clancy was 22 years old, and started in Ireland and ended in his native New York. He did ship quite a lot, as there were simply no roads in much of the world, but he did cross Europe, north Africa, Sri Lanka, Hong Kong and Shanghai in China, Japan and the the most difficult of all, the ride across the US. He was writing for a magazine, so it was well documented. His bike, a Henderson, was one if the top makes in those days and a competitor to Harley Davidson. The irony is that he hardly broke down, what problems he had were from falls or altitude. Not sure what progress that means we have made in 100 years, I know I have had my struggles (largely to do with trying to make a diesel engine run on veg oil, and my lack of experience in such matters) however even the latest BMWs and Hondas etc have caused their owners much angst with breakdowns. Back to recent times...Batty's tales of woe do not end there alas. 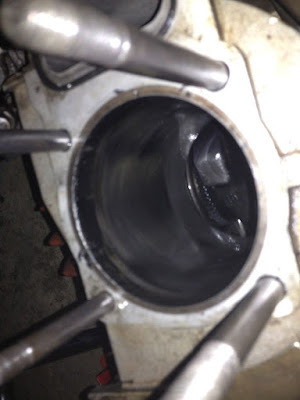 By the time we ( a local mechanic and I) had stripped the engine down again to take out the piston ( got it down to 120 mins by this stage) I knew it was going to be the piston rings gummed up with sooty goo. Luckily we found that Isuzu share the same piston rings, so we were able too get going again by nightfall. When the morning came I was to discover that it was much worse as 2 cylinder head studs had been stripped. Fretting and despairing wasn't getting me very far, so I went off to see the Bridge over the River Kwai for which this place is famed. I was thinking that I would find it a very poignant and upsetting place, but in fact the part that I saw was so commercialized and the accounts of what happened masked by a multitude of vendors and a very faded museum, that it did little to move me as I thought it would. Watching the film does a better job. The rebuilt bridge after the Allies bombed it at the end of the war. What can I say....this is what the train looks like now. I guess it means a lot of people come here and see the horrors of war, albeit through tourist eyes. The remains of the original bridge that the POWs built and on which the film is based. Meanwhile awful thoughts were running through my head. Was this the end of the trip with Batty? Had I had enough of what was now 2 months of engine problems? Could I send Batty back to the UK and get a conventional bike and carry on the trip without the important (to me) angle of doing it in a carbon light way? On the walk back from the bridge I passed a bike mechanic's shop with Harleys outside and just thought I would see if the chap could help. He said to bring the bike over in fluent sign language, that bettered my own. I did so and immediately Nam was on to the problem and started re tapping the treads. He seemed very together and kept a very clean workshop and I quickly trusted him. Soon a couple of Auzzy brothers, Jamie and Chris, stopped for a chat. They love all forms of vehicles and do a lot of their own engine work, so they were intrigued by Batty. A couple of hours later they were still keeping us entertained when Nam finished. All it would take was for me to rebuild the rest of the top end again back at the guesthouse and I would be on the way. They said they would come by in the morning to see how I was doing, I warned then that I would start at 7 and it was only an hour or so's work. . True to his word Janie showed up, as did Nam who I think was a bit nervous. 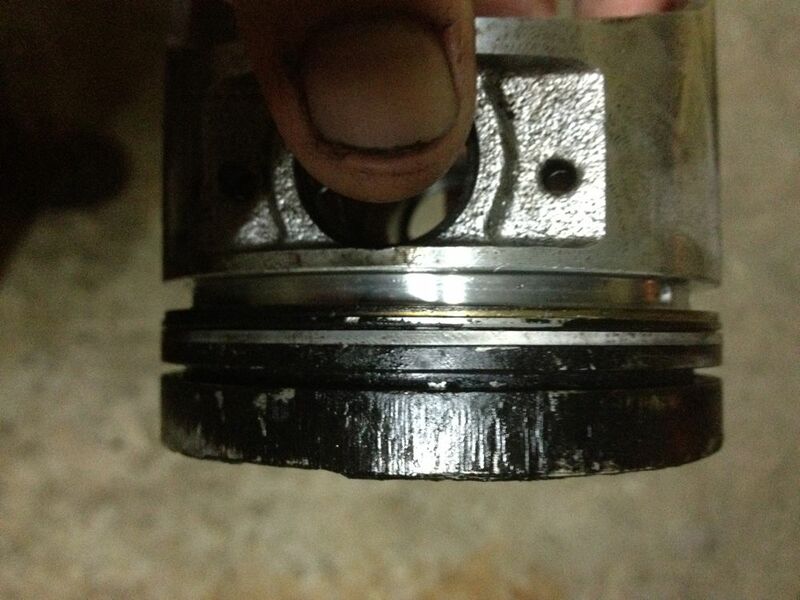 As soon as we started there was an all might bang and the gasket blew again as one of the new stud threads went. At 7 pm we had finally rebuilt her again, but this time we had to take the engine right down to opening the crank case. Poor Nam on the only time I did not see him block every opening on the engine as he worked, lost a large washer down the push rod tube into the crank. This was taken by a Danish chap who stopped for a chat. on the right is Max Dupuis who is traveling around, and buying old bikes in countries that he fancies riding in. In this case it was a very old Honda 100, that had seen him around Vietnam, Cambodia, Laos and Thailand. We shared Nam that day as his Honda need a full make over as well. Off I went the next day....bike seemed ok, apart from a small oil leak from the head somewhere, and a top speed of 42mph....I guess it needs more setting up, but I am failing to get that right despite countless instructions from Henry and the purchase of a tachometer to help set the top rev limit. I follow all the instructions, but fail to get the performance that I should. My plans have needed to change with these delays and after Singapore, I am going to go first to New Zealand for a month or so and then on to Australia. It will mean missing Indonesia, but it is just one of those things sadly. I'm Max the french guy with the Honda win 100cc. Maybe I'm stupid but I can found out your email to send you the pics ! Receive an email when I post something (2-3 wks approx).